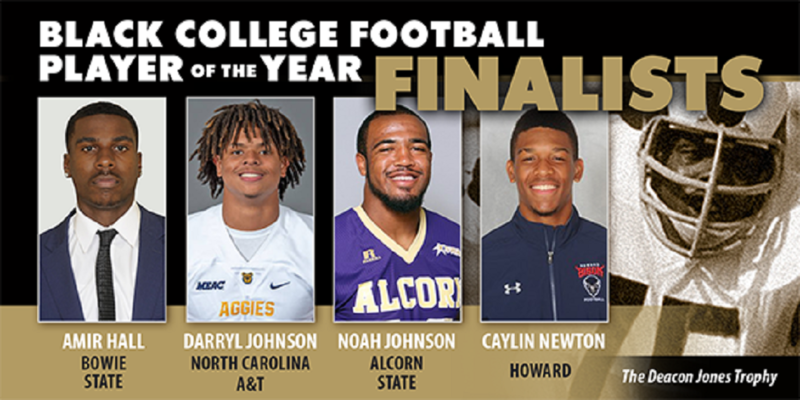 Atlanta, GA – The Black College Football Hall of Fame (BCFHOF) announced today four Finalists for the Black College Football Player of the Year Award. 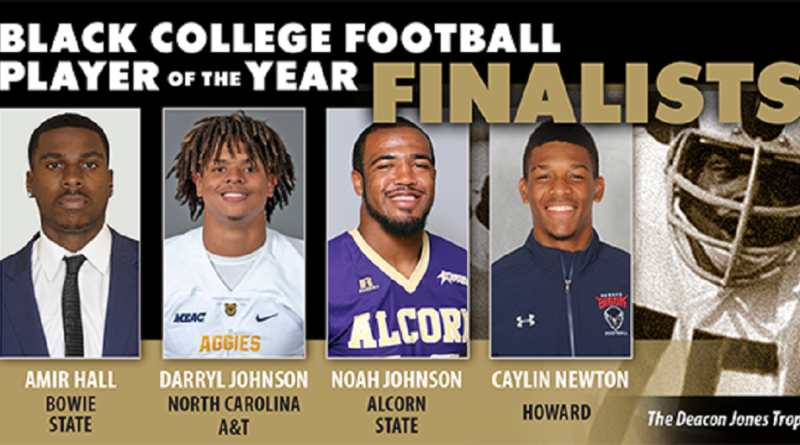 The Award is presented annually to the most outstanding football player from a Historically Black College & University (HBCU) that embodies the rich tradition of athletic excellence and integrity associated with HBCUs. 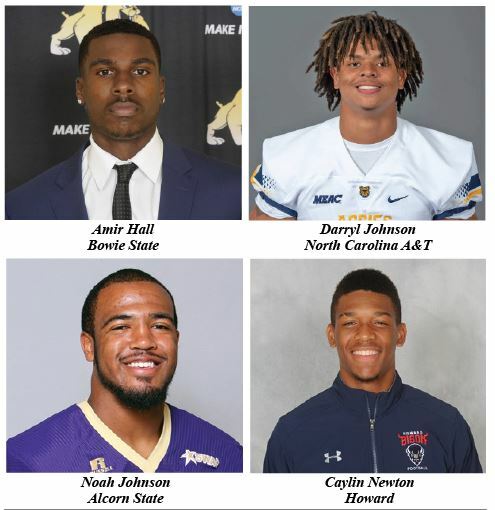 Former North Carolina A&T State University, and current Chicago Bears running back Tarik Cohen was the inaugural recipient of the Award in 2016, and Bowie State quarterback Amir Hall was selected as the recipient in 2017.